For a time now I have been in collaboration with another user here, the venerable @Sxot who approached me with the idea of us working together to produce an Australian soap to carry some of the fragrances from Australian Private Reserve. Well we got to talking about the idea, did the numbers, talked about the viability of making soap, the process and what we both look for in a shaving soap. We also discussed the nature of Aussies and the absolute need for Australia to produce goods here and to export them and share them with the rest of the world, be it on a large scale or indeed on a small batch, artisinal scale. 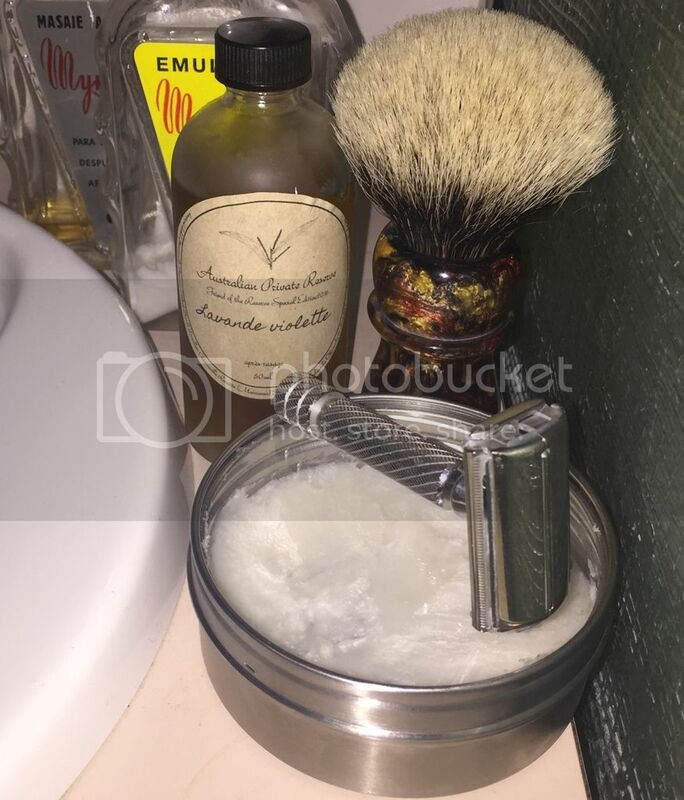 We thought that this was especially important now with the recent and belated closure of SH, and the growing community here on P&C and of wet shaving in general. Our discussions went back and forth for some several pages, we shot ideas and concepts back and forward, talked logistics and everything in between and came up with an agreement between us. One of the issues I always had with APR is that I live in the inner-city in a small apartment with space at a premium, as it stands currently APR is spread out in front of me at my 3rd computer table with the oils, bottles and perfume bases in 4x 50litre crates. I have test racks for the fragrance iterations in a cool, dark kitchen cupboard where I can place 20 or 30 vials of a certain fragrance iteration - it really is guerilla perfumery. Suffice to say cooking soap is not something I could feasibly do, and that's where the soap cooking machine that is @Sxot come in, our discussions on soap production (and everything in-between) led to the birth of APR soap which we have been testing for the last month or so. We have worked through 5 different iterations of the soap, and have sent out testers to certain people who own and use a very broad range of soaps. I invite them now to share their experiences of using the APR test soap. This soap was simply scented with Lavender, but the testing was purely about the performance, lather, cushion and glide of the soaps. On March 18th APR will launch 4 soaps, I will not reveal what they are at this point aside from saying that one will be General Ledger and the other will be Alfredus Choice so I just pork chopped myself right there. The new soaps will be presented with a new APR design and waterproof labels (as will the aftershaves) and will come in 125gram tubs. They will be strictly in keeping with the APR philosophy of being well perfumed and hand made, I refuse to cut any corners whatsoever in this regard, I will be using the soaps daily. I cannot continue to offer 12 to 16 fragrances, it is swamping me with work, requires big cash outlay for oils ($1000 - $1500 per fragrance) and due to my IRL work commitments I am really struggling, especially as I was stupid enough to join FB and post SOTD's. Due to the nature of 'trigger pulling' that exists in the wet-shaving scene, APR is being bloody deluged with US and European wet shavers ordering stuff. I am small batch, hand made artisan and I can't cope with the volume I regret to say - APR is still tiny, but when you hit such large markets the volumes get scary big really fast. What will happen is that I will go seasonal, 2 to 4 scents and soaps per season on the website and that is it. The good news is that there will be P&C exclusives, you guys supported, encouraged, assisted and pork chopped APR from the get go so I will continue producing cost-price fragrances for us here alone and offer them up as they come into being - same price range, etc as always in the same limited quantities. It is the least I can do and it is something I enjoy doing, sharing LE scents and ideas that come to mind when we can't find an aftershave to pair with a soap! TLDR: 4 Soaps and Splashes on the APR website, 4 soaps and splashes on P&C + P&C APR Exclusives. Anyway enough meandering from me. That was just a honest insight to whats been going on, how it has been effecting me personally (and my dear wife) and how I am navigating the circumstances going forward. They can say what they like, I know what I can expect - I'm in for one of each! Well done @todras and @Sxot ! Nice work guys - I might have to break my self imposed embargo after approximately 9 months if a menthol soap is in the making. Great work @todras and @Sxot ! For those of you, who don't know it: I have only 3 soap makers in my rotation (Mike's, Stirling and Mystic Water) and 1 cream (Esbjerg). So for anything to make it into my rotation, it has to be able to compete with the above. The soap reminds me a lot of Mystic Waters in term of the lather you get, but it is dead easy to lather. OK enough talking - here the evidence - all done with pure super hard Adelaide summer water - with ease! VERY interesting to see your comparison to Mystic Waters @alfredus as I thought of the exact same comparison. I will also write a proper review later today. Thanks for the well wishes everyone! Mate you have been fore font of my mind of late. Now that the base formulation is sorted I have turned my attention to adding menthol for my own purposes. I will be experimenting to see exactly how far I can push it. Keen to assist? As to menthol in APR soaps, I am but a servant of @todras. APR is his vision, his baby so all final decisions are made by Todras. That said, it is a possibility, perhaps on request pre-release. Maybe do the APR fragrance soap and another, unscented base with as much menthol as you can load in. Call it Menthol Madness, get a couple of people to post around the place about how crazy strong it is and you will be away! As to menthol in APR soaps <snIP>.... That said, it is a possibility, perhaps on request pre-release. Let's talk about it on the weekend and see if we cannot milestone something, I do have concerns but we can navigate those during our discussion and let people know sometime soon. I have a great deal to do before March 18th so currently I will focus on that. There will be a P&C Only LE Release for Winter 2017 (Splash+Soap)(No. Polsilvers ?) in early May and the idea of menthol sits perfectly with it. Sure am! Even more so if you are going with strong scents. I have a 'Monsta Myrtle' which I have quietly been testing this week. Zero complaints apart from the fact I am getting the 'Sample' lathering issue but since I can pretty well imagine what lathering off the container would be, yes I am absolutley in for these too. Monsta Menthol, thanks very much. Maybe we make it an official P&C product? That sample was based on a Washpool Farms soap base that unfortunately I decided I could not use, it shaved ok but their method of rendering the tallow and their source of Lanolin presented unacceptable problems for my fragrances. We can talk about that one boss when we meet next I think. I am not opposed to the idea as Monsta Myrtle will not ever be released again, it was designed for you specifically as a special release. It's certainly a fragrance that would work very well with menthol, in both a splash and a soap, it's a fragrance design that does have some headroom for design modification in certain sections. Great work boys - really impressive collab between soap maker and perfumer ! Very sensible to trim your range @todras - great to hear you are picking up orders from O/S too - you'll outgrow your current premises very quickly! I have been fortunate enough to have had the opportunity to try a variety of the APR test soap iterations including the latest APR Lavender soap. I have used this latest iteration for several days now and would also like to add my thoughts on the soap. I do not have a lot of soap brands in my regular rotation. Apart from a couple of miscellaneous one off soaps that I have held on to the soaps that I use regularly are (no particular order) Stirling, Phoenix Artisan Accoutrements, Mike's Natural Soaps, Shaver Heaven (Vegan Formulation - I did not hold on to any of the tallow formula soaps I had) and Catie's Bubbles (I really enjoy the french style formulation). In addition to those regulars some other soaps that I really enjoy using are Mystic Waters and Saponoficio Varesino. As @todras mentioned this particular batch of soap is still a little soft as it was sent out quite fresh. Personally it is a little too soft for my liking and I prefer something a little harder. It has also already been stated that future iterations will indeed be a harder soap, something which I am happy to hear. The softness of the soap has in no way affected the performance however and we will get to that shortly. The test soap was scented with a single lavender essential oil. I'm not going to enter in to a discussion about scents at all as it is particularly subjective. What I will say is that you can give me the best smelling soap in the world and if it doesn't perform very well I wont be using it. I am not too fussed about scent strength in soap either and as long as a soap smells pleasant I am happy. Additionally I am not too fussed regarding whether a soap has fragrance or essential oils in it as long as I have no adverse reaction to the oils used. That being said though we all know that there will be no corner cutting with the APR soap range and only high quality essential oils will be used. I have been told how much some of these oils cost and I am still dumbfounded that you can pay that much for such small amounts of liquid. On to the important part, performance. I already mentioned that I too very much likened the lather to that of Mystic Waters. 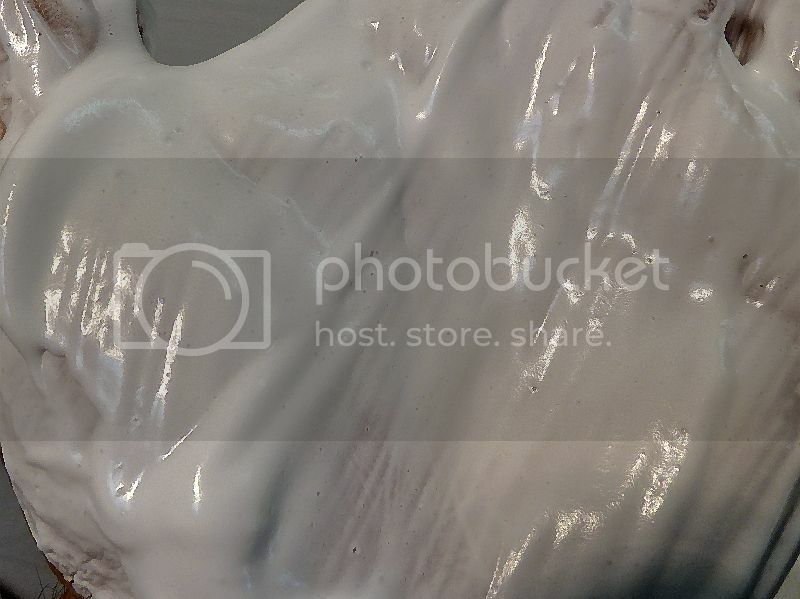 Lovely thick and protective lather with good residual slickness. I had no problems consistently knocking out fantastic shaves with the soap and at no time was I concerned that the lather was not providing very good protection. 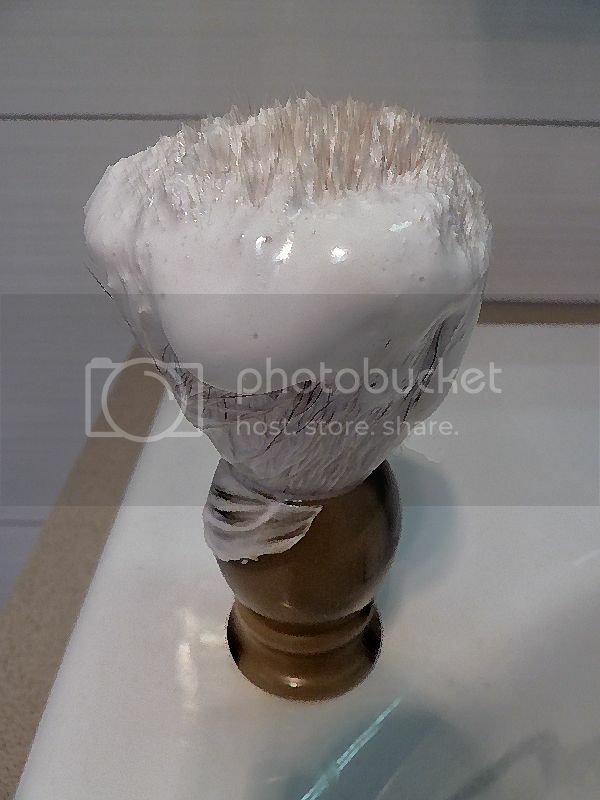 I use a lathering method very similar to the Merkur Man method (although not nearly as regimented) and like to get a good lather formed on the puck before continuing on my face and adding water. As with Mystic Waters I found that it seemed that it took a reasonable amount of time and water to get that lather on the puck formed. That being said when I moved on to face lathering I found that I had underestimated the amount of lather in the brush and the lather quickly multiplied as I added more water. Eventually I was left with at least enough lather for 3 full (3 pass) shaves or more . I too found that whilst the soap took a reasonable amount of water during the face lather it certainly was not as much as Mike's or Mystic Waters but on par with Stirling and Catie's Bubbles. The lather remained stable throughout the shave and was no different at the end of 3 passes than it was on the 1st. Post shave feel was excellent. The soap definitely does not dry the skin out and leaves it feeling nice and clean and refreshed. I too have a strict post shave routine but even after my post shave routine I believe that I can tell if a soap has had any negative affect on my skin and in this case it definitely has not. I have become very hesitant to buy new soaps in the past several months. I feel that I have found the soaps that consistently provide me with the performance I am looking for. I reached a place where I realised I was spending money trying to try every soap ever made only to find that in the majority of cases I found the performance of the soaps to be so so and found myself consistently reaching for the same brands. You are probably wondering what the point in me sharing this is and it is quite simply this - @todras please let me know when the soaps are available as I will be adding them to my regular line up. I have previously noted comments on the Australian Private Reserve Lavender Test Soap in my SOTD posts earlier this week, and am expanding on them in this post. My two shaves with the soap were with identical set-ups and products, and produced a very similar shaving experience and outcome. The soap lathers very quickly. I was a little wary of this, as I have experienced fast-lathering soaps that give the appearance of good lather, but often under-perform and dissipate during the shave. Not so with the APR soap. Whilst I did not take any lather shots, I can attest that my lathered Platypus knot had a very similar appearance to that of @afredus 's photos above, although I must defer to the lathering expertise of my friend. The lather feels very slick indeed on the face. It did a very good job of cushioning the blade feel of the very sharp vintage English Gillette Platinum blade. I find that the best soaps seem to allow you to bring the blade in very close contact with the skin without irritation or nicks, which allows you to achieve your desired closeness with a minimum of passes. I'm happy to say that the APR soap demonstrated this property. I employed three passes, with minor clean-up, and achieved BBS. The wonderful deep rich natural lavender scent continued to permeate the air throughout the shave. The post shave feel was also excellent. As I previously posted, this is a remarkably good soap given @todras has designated it as a Test Soap. In its current form, I would purchase it in a heartbeat and it would rank in my top shelf soaps. One area that I feel that the soap could improve is residual slickness. Whilst the lather was very slick, once the pass was complete, the residual slickness, whilst good, was not to the level of some other premium soaps when doing some minor clean-up. In summary, Bravo @todras and @Sxot ! Post note: I deliberately did not read the text of my fellow reviewers above until I had finished writing my review, so as to maintain independence in my comments. Having just read them, I see that we are in agreement on almost all matters. I must say that @alfredus and @nsavage have written far better reviews that my sketchy effort. @alfredus @nsavage and @TomG for the evaluation firstly, but secondly for providing meaningful comparative reviews and test feedback. It is easy when reviewing a product or soap to state objective qualities of the specific test subject but through the comparative analysis we get a much more valid picture, albeit with a sample of n=4 with myself being the 4th. Ethics prevent me from commenting in public on my thoughts on a product I am testing and will shortly sell, but I will say the soap invited the same comparisons a couple of you made and I will continue using the Lavender test soap as part of my regular rotation - I would love to review it (I like doing wordy reviews) and that's all I can say without a conflict of interest rearing it's head. Magnificent effort by manufacturers and reviewers! Funny how it was only last year we were lamenting the decision by @Anthony to close Shaver Heaven. 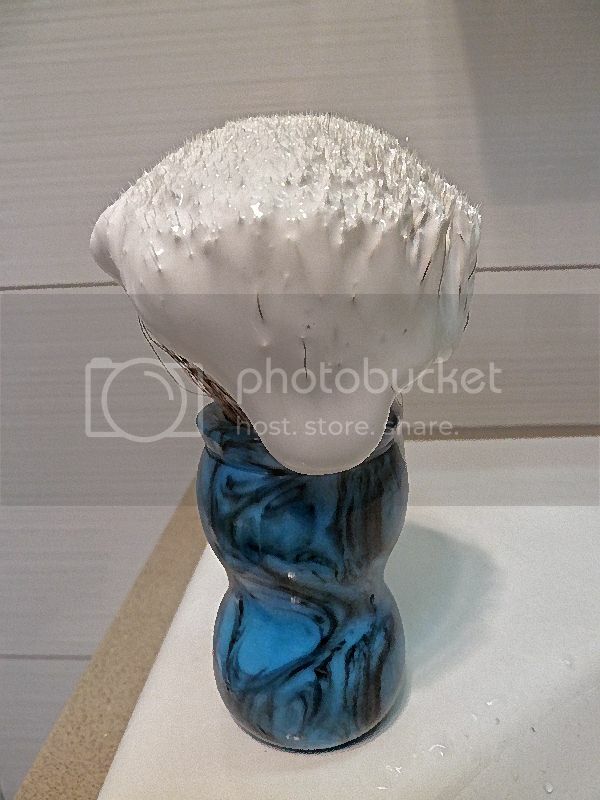 Posts at the time almost had the feel that it was the end of the world as far as Aussie shaving soaps go. While I think many would welcome it reopening between @SchoolForAnts and his Squadron Soap and @todras and @Sxot with these APR soaps we really are very very spoilt for choice. Yes, but it was not them!